In 2012 offered seven unique workshops on more than 25 occasions to junior high students, parent teacher associations, churches, community associations and womens' groups. 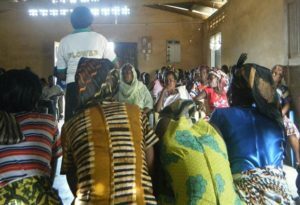 These workshops covered a wide range of health related topics including; cancer prevention, decision-making, money management, teenage pregnancy, nutrition, active living, hypertension and the importance of hygiene and sanitation as a building block of healthy communities. Another vital project we are currently undertaking is new to FLOWER. We have begun offering trades training to interested and capable women in the region. These trades courses will offer the opportunity to learn a trade, receive some individualized business support and receive a small capital to begin ones own business. 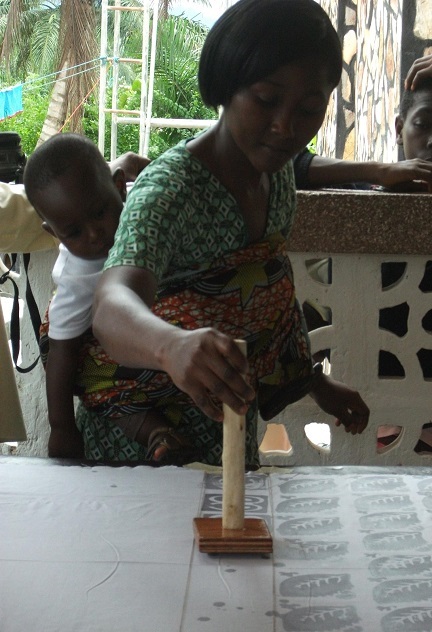 The first session has been in the area of batik making and thus far has been a good learning experience for FLOWER. As of February 2013 twelve women have undertaken batik training and while the results have been mixed we are pleased with the progress and sucesses we have made. Do check out the photo gallery for some beautiful photos of the finished products! 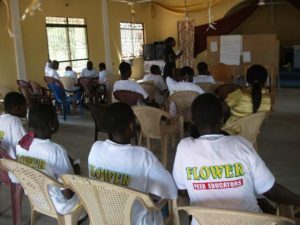 In addition to running educational workshops, FLOWER takes part in the donation of supplies to schools and womens' groups on a case-by-case basis. Our most recent donation included providing dustbins to two senior high schools in the area, Asamankese Senior High School and St. Thomas Senior High School. Past donations have included backpacks with school supplies for primary students and footballs to school teams in the area, to name a few. For 2013 FLOWER will also begin distributing a limited number of scholarships to needy but brilliant girls to attend secondary school. These girls will be selected by their girls' club leaders along with their classmates to become peer educators for 2013. The scholarship recipients will be selected from the 2013 peer educators.